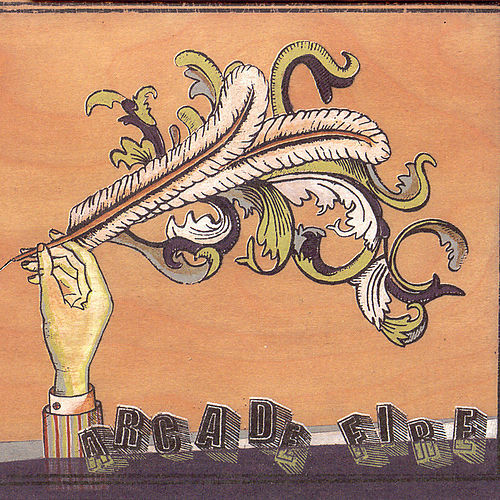 Neon Bible did a curious thing to Arcade Fire. It made them popular. Sure, it wasn’t as universally acclaimed as Funeral, but it was damn close, becoming hugely critically and—as indie albums go—commercially successful. They didn’t become a household name exactly, but it wasn’t just your emotional, plaid-wearing brother or sister who knew them anymore. Even as they continued to grow in notoriety though, it was hard to imagine the Montreal septet sounding any larger on record. Accordingly, 2010’s The Suburbs showcases a new Arcade Fire, one that still has great ambitions but doesn’t find answers through ecstatic bursts of emotion. Indeed, those looking for the easy catharsis of songs like “Neighborhood #1 (Tunnels)” or “Intervention” will be disappointed, but The Suburbs rewards in different ways. Arcade Fire have never been so musically or lyrically direct as they are here, but they also have never been so diverse. While long-standing influences such as post-punk and David Bowie (namely his piano-driven Hunky Dory) still inform their music, Richard Parry’s howling feedback guitar suggests Sonic Youth, the hushed “Wasted Hours” is mournful folk-rock, and album highlight “Sprawl II (Mountains Beyond Mountains)” even channels Blondie’s “Heart Of Glass.” Since the band now favors nuance over grandiosity, The Suburbs puts focus on Win Butler’s words, which often deal with the irony of longing for childhood, only to realize you spent childhood longing to mature and leave the nest in the first place. It’s more universal than the paranoid Neon Bible, and it holds together better too, mainly because his images, whether they be of pretentious, disinterested youth (“Rococo,” “Month Of May”) or reflections on childhood friends (“Suburban War”), are simple and straightforward. But while the album is strong throughout, it also has fewer distinct standout tracks than past albums, causing it to drag on occasion. Still, The Suburbs is a triumph and arguably better than Neon Bible, suggesting that Arcade Fire will continue to grow and maintain their position as one of modern rock’s most vital voices. Starting off by playing small shows supporting their self-titled EP, the release of Arcade Fire’s full-length debut Funeral brought the Montreal-based band a stratospheric amount of praise. Not only did they become favorites of critics and fans but they became lauded by such musical heavyweights as U2, David Bowie, David Byrne, and Damon Albarn. It’s not hard to see why, either. Funeral is sweeping and dramatic, dedicated to the band’s family members who had died during the recording and release of the album. As a result, the record deals with mortality, love, and loss and does it through grandiose music that takes as many cues from Talking Heads and Pixies as it does Neutral Milk Hotel and Bowie himself. But all the unrestrained emotion–Win Butler’s primal singing and shouting, the string-laden loveliness, the transcendent choral harmonies–would be aimless and ineffective if it weren’t for the songs themselves. “Neighborhood #1 (Tunnels)” sets the tale of lovers in a post-apocalyptic tundra to an ever-building crescendo; the propulsive post-punk of “Neighborhood #3 (Power Out)” is a fiery indictment of the human condition. Meanwhile, “Wake Up” is a rousing anthem that features over a dozen musicians singing in unison. Yet, Funeral also works in its smaller scale songs as well. Moments such as “Rebellion (Lies)”‘s call-and-response pulse and “In the Backseat”‘s orchestral climax give the album a much-needed balance. It’s no surprise Funeral‘s immense acclaim and unfiltered emotion galvanized a new trend of similar, big-sounding indie bands in the second half of the 2000s, but they often missed the point. 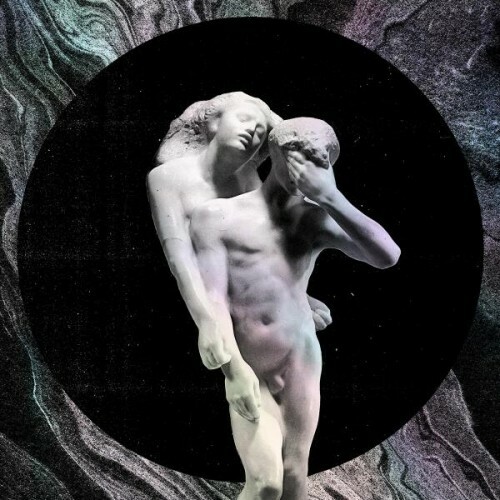 Arcade Fire’s bombast never sounds forced here. They never sound as if they are badgering emotion out of themselves or the listener because, in the end, the appeal of Funeral isn’t its drama but its humanity. Despite its theatrics, it simply sounds like what it is: a group of friends and family genuinely achieving catharsis through music.